This collection brings together four amazing Pokemon-EX with brand-new full-art illustrations, including two Mega Evolution Pokemon. You'll also get a whopping 8 booster packs-and the long-awaited Spirit Link card for Lucario! Tbook.com crawls the web to find the best prices and availability on Pokemon and related Toys products like Pokemon Sun and Moon Mega Lucario Ex and Mega Manectric Ex Mega Powers Collection Trading Cards. For this page, related items include products we find that match the following keywords: "Pokemon" at our vendor partner Walmart. 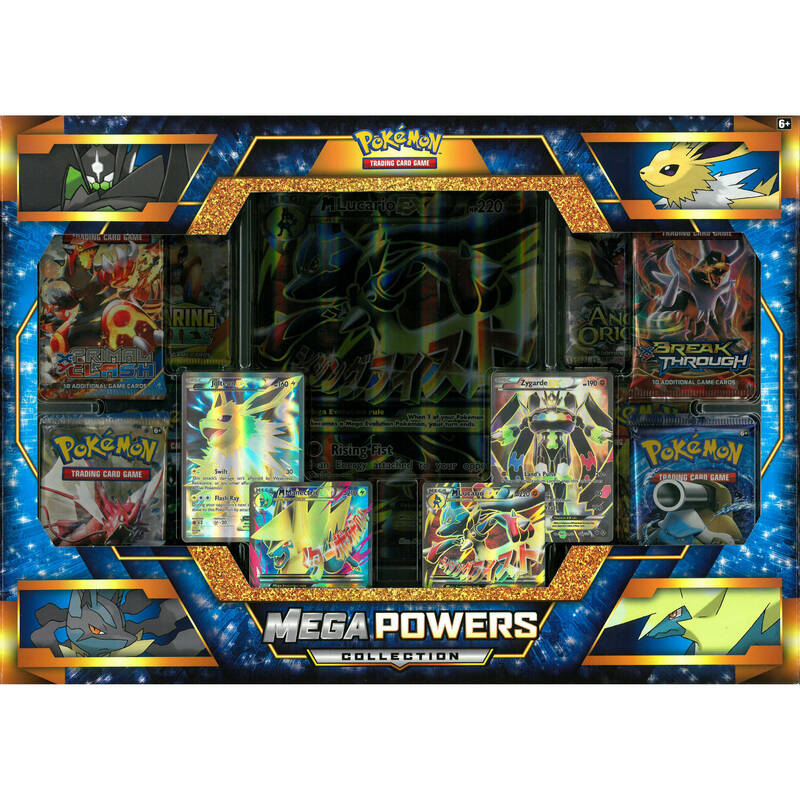 Pokemon Sun and Moon Mega Lucario Ex and Mega Manectric Ex Mega Powers Collection Trading Cards is one of 111 Pokemon and related products listed in the Toys section of Tbook.com If you have any questions on this product, please give us a call at 734-971-1210 during the hours of 9am - 5pm EST for assistance. Thank you for shopping at Tbook.com, the Internet Department Store!